May 24, 2016, 3:51 p.m. May 24, 2016, 3:51 p.m.
Buying a new car is always an exciting experience. These days zeroing in on the best suited car for your needs is not a cumbersome process anymore. Thanks to the myriad information with regards to automobiles available on various sites, you can comfortably make your choice by checking and comparing the features and benefits of all kinds of cars from the comfort of your sofa. However, before you make a deal, here are a few things you need to know about buying a new car. Keeping these points in mind will help you get through with your new car buying experience without getting swindled. Research and find out what price the others are paying for buying a new car and the value of your transaction trade in. Consult with your dealer. The amount of money you are willing to pay towards buying a new car largely depends on the type of car you will look to buying. If you are paying for the vehicle upfront, budgeting might not been as vital as financing it. Approximately 75% of the new cars are purchased on financed, therefore it is imperative to calculate how much money you will be able to spend every month as premium. While you prepare your budget, you also need to consider the insurance, fuel, road tax, servicing and insurance premium. Running and maintenance costs play a major role in fixing a budget before buying a new car. There are various ways of buying a new car. You could order it off the web or visit the local dealers. The franchised dealers discuss the details of your new car in person and In case you looking for a particular specification or a distinct colour you could directly order it from the manufacturer, which might take a while to be customized and sent to you. Alternatively, car brokers can bring a lot of transparency into the car buying process as compared to dealers. Certain cars depreciate at a faster rate than the others. You might pay a little extra money towards a car which will depreciate at a lesser rate and in the long run, yield you better value. You can research on the web to learn more about depreciating values of cars. Cars such as Volkswagen Polo and Nissan Qashqai are known to give better returns when it comes to selling your old car or buying a new car. All the terms and conditions need to be read and understood by you before you click on the ‘I accept’ term. This way you get to understand your obligations and rights and what to expect from the manufacturer from whom you are buying a new car. If you are considering buying a new car on finance, you could consider that GAP insurance. It can make up for any kind of shortfall between the worth of your car and what you owe towards finance. Always have clarity, both for the total price of the car and the amount you will end up paying each month if you are opting for finance. Beware of any additional costs which might add up sin form of registration plates or delivery charges or anything other aspect. It might take an enormous amount of time and energy to arrive at a price of a car and well, pay it and drive the vehicle home. But remember, you are likely to use the car for a minimum of five to eight years, so it is well worth the effort. Safety ranks as the foremost important feature of a car. It has a new way of determining it’s forte in all the cars in Europe in the form of the five star Euro NCAP rating. This standardized crash safety checking system renders a specific score to each car and includes important safety aspects such as child occupancy protection etc. The shape of the car determines the mileage, therefore if you are looking at fuel efficiency as a major reason for buying a new car, you need to opt for cars which are tall and sturdy. Sports cars look appealing but a boxy body allows one to maximize every drop of fuel. Also, a taller car helps you stand out on the roads as well as decrease the load on you if you have to bend down to install child car seats. Checking for the flexibility of the seats of your new car is important because your car will not only serve as a commuting vehicle for you but you might also need it to function appropriately when you require to carry more people or load. It is better if the seats are all of the same size and if they can be easily tilted forward or glided back. You can also check how many of the seats can be tumbled and folded and how many of them are equipped with ISOFIX points so that if required, you are able to install child car seats. 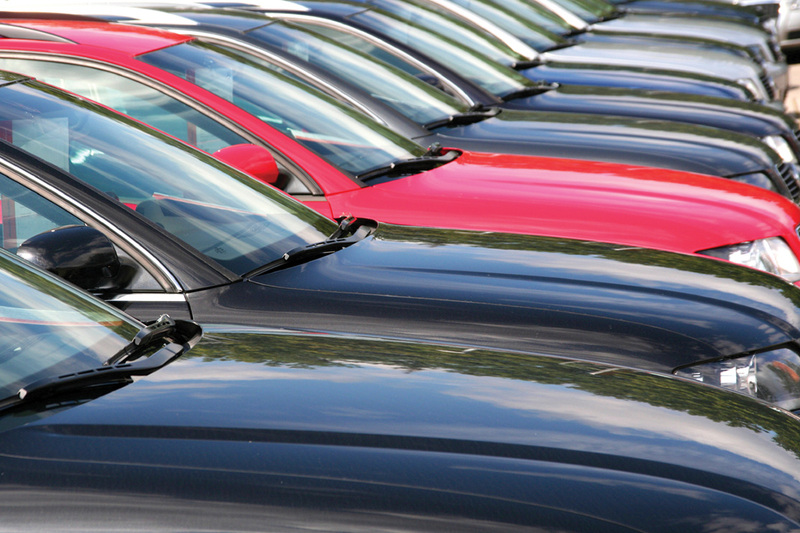 It is imperative to learn and understand the specifications before buying a new car. It will make your life easier while you own it and will assist you to get a better deal when you decide to sell it off. Dark interiors can camouflage spillages and stains. Based on your requirements you can opt for various levels of parking sensors and cameras, sat navigations and hill hold assist. Sunroofs maximize spacing and light and if you are a frequent long distance traveller, opt for a good audio and video system set up. These days cars come with wide options of storage facilities and based on the size of your family, you can opt for storage cubbies which can hold your myriad requirements while buying a new car. Think thoroughly about what kind of extras you really require and likely to use, in terms of expensive seat covers and plush interiors. These optional extras play a massive role in determining the depreciating value of the car over the years and therefore, some of them may be indirectly proportional to the recessed value of your vehicle. Think and consider thoroughly before ticking on the car buying form.